I find the Dollar stores these days are really getting some cool stuff in for holidays. I couldn’t believe the assortment of things you could get for crafts and decoration for St Patrick’s Day! I don’t decorate my house for St Patrick’s Day and we typically don’t do much for Easter either, but I came across these little decorative mini eggs and thought how pretty would they be to make up a larger Easter egg out of them? 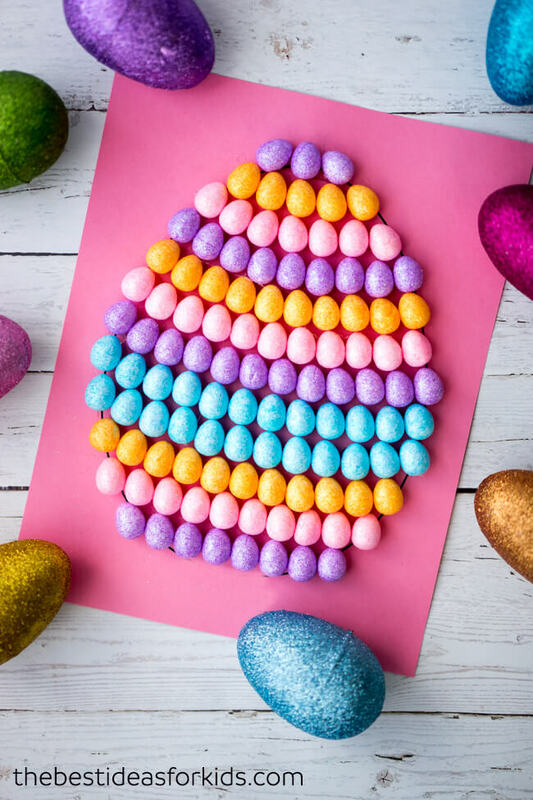 This mini egg easter craft is a perfect craft for fine motor practice too as your little one can place them all down and they are pretty small and hard to pick up! I absolutely LOVE the bright easter colors of this craft. The key to doing this is finding the little mini foam easter egg decorations. I found mine at the dollar store but you can also get these mini foam easter eggs from Amazon. 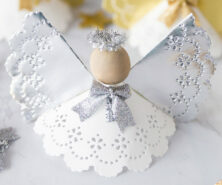 But the best part about this easy Easter craft is that it’s not only fun to make, it also looks so pretty! You could actually put this on display in your home! I plan on putting mine up in a frame I have in my front foyer. It’s so beautiful and bright! 1. 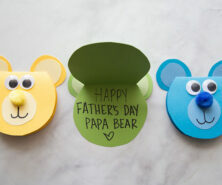 First you need to print off an Easter Egg template on some colored cardstock. 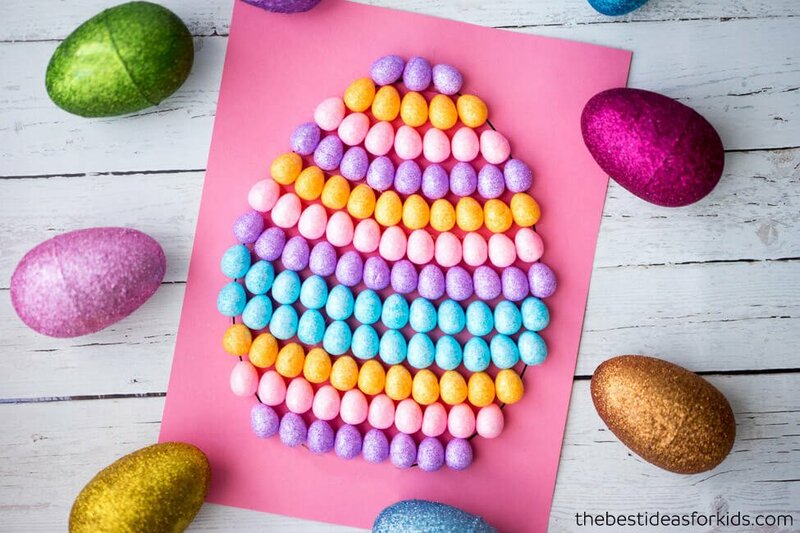 If you don’t want the printed marks showing through, print off the easter egg template on a piece of paper instead. 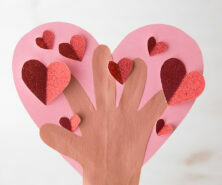 Then cut it out and trace it lightly onto your cardstock with a pencil. 2. Now start gluing on your foam easter eggs! Start at the top and work your way down. 3. You can make a pattern with the colors or you can just be creative and switch up which color you want to do on each row. Or you can even mix and match the colors on the same row! That’s it! Pretty simple but a fun little Easter activity and a great one to do with the kids! Looking for more Easter crafts? 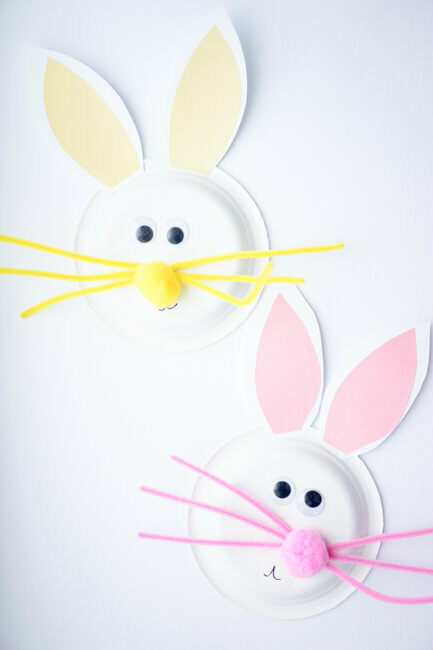 This Paper Plate Easter Bunny is absolutely adorable and so simple to make! These Felt Easter Eggs are such a fun way to decorate and craft for Easter. 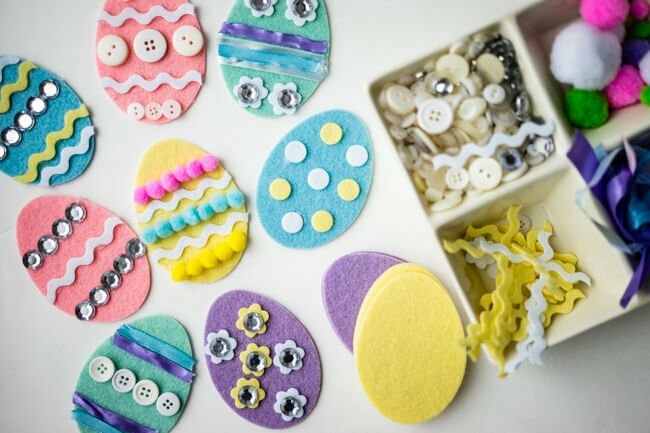 You can set them up as an “invitation to create” activity where each child can pick the items they want to decorate their felt Easter egg with! 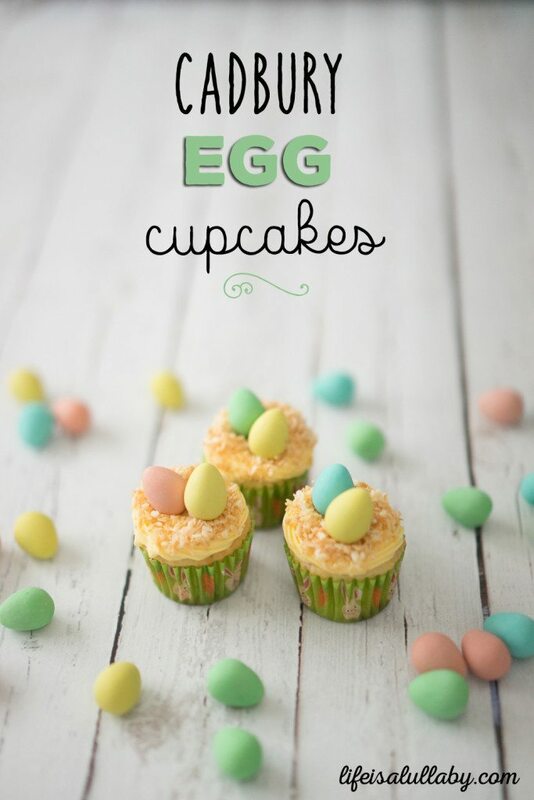 These cadbury mini egg cupcakes are so simple to make and are the pretty treat for that Easter snack or dessert with the kids! Still looking for more fun Easter ideas? Follow our Easter Ideas board on Pinterest!